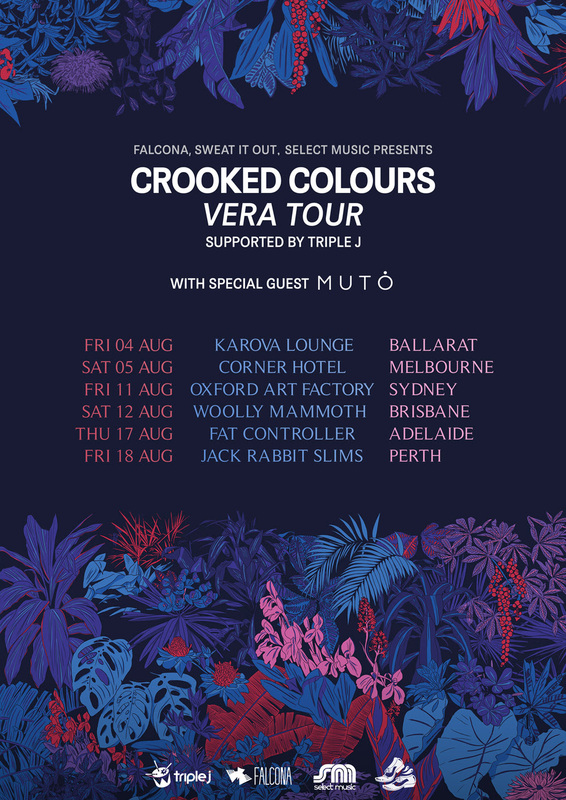 Following the announcement of their highly-anticipated debut album Vera on June 23 via Sweat it Out,Crooked Colours today announce their ‘Vera’ National Album Tour throughout August. Joined by special guest MUTO, the forthcoming tour dates follow on from Crooked Colours’ sold out national tour earlier this year supporting the release of the Hype Machine #1 and BBC Radio 1 spun single Flow. New single I Hope You Get It feat. Ivan Ooze exposes yet another level to the trio’s fearsome production. 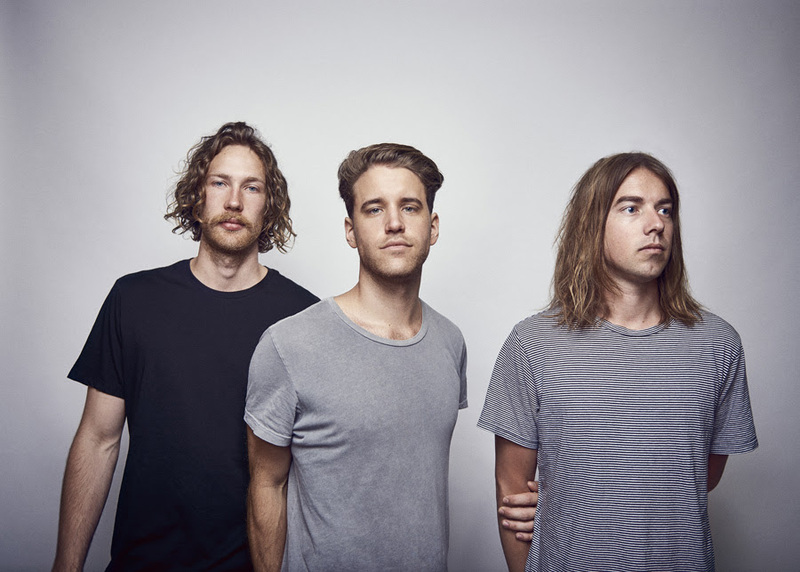 Crooked Colours burst onto the scene in 2013 when they were handpicked by triple j Unearthed to perform at St Jerome’s Laneway Festival. Breakout singles Come Down, Capricious and Another Wayfollowed, earning Hype Machine #1’s and over six million streams. The result of a patient approach from an act determined to create a timeless debut, new album Vera demonstrates diverse and layered productions from a breed proving themselves as one of Australia’s hottest rising acts in electronic music today. Recently invited to perform as special guests for Crystal Castles on their Australian and New Zealand tour, the band has also supported RÜFÜS and San Cisco, in addition to festival sets at Groovin The Moo, Parklife, Wonderland, Southbound and Hot Dub Wine Machine.